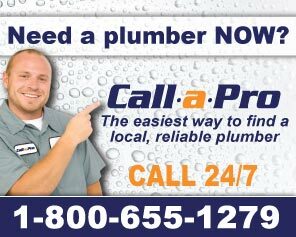 We're here to help you find a trusted, local, full-service, and licensed Salt Lake City Plumber! Looking for a Salt Lake City plumber who can solve virtually any Salt Lake City plumbing project, service, repair or installation? From water heater installation to drain cleaning and more? Apartments, residential homes, property management companies, and local businesses - no job is too big or too small. Toilet, tub, shower, or faucet repair? You want a Salt Lake City plumbing service with experience when it come to repairing your plumbing fixtures, including plumbing systems found in some of the oldest homes and businesses in the Salt Lake and Tooele Valley! In addition to every day plumbing problems and unexpected plumbing emergencies, you might need a plubmer that specializes in remodeling. Residential and commercial remodeling services from fixture installations and grab bar installations to complete kitchen and bathroom plumbing renovations. Go green, conserve, and lower your power and water bills with low flow toilets and tankless water heater services!